Theresa Laden of Switzerland. Laden or Ladeli means “a little shop”. This shop is owned by Swiss women group which auctions off unused items in Switzerland and sends the proceeds to the poor communities in the Philippines. Theresa Ladeli is supporting MISFI’s Community Education Program- the MISFI Academy. Citizen’s Disaster Response Center (CDRC) is a non-government organization that pioneered and continues to promote community-based disaster management in the Philippines. CDRC operates nationwide through a network of regional centers affiliated with the Citizens’ Disaster Response Network (CDRN) and through people’s organizations. MISFI is one of the member of CDRN which is a network of 17 disaster management and social development agencies from Luzon, Visayas, and Mindanao. The Citizens’ Disaster Response Center functions as the secretariat of the network, the structural foundation of CDRC’s nationwide campaigns. 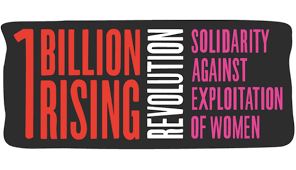 Eve Ensler, One Billion Rising Revolution supported the construction of selected MISFI Academy schools and clinics. 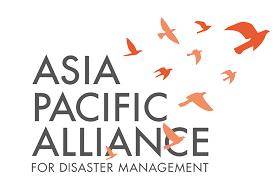 Asia Pacific Alliance for Disaster Management (A-PAD) is a trans-national disaster aid alliance that works to facilitate cooperation and understanding between governments, private companies, and NGOs in the Asia Pacific Region. 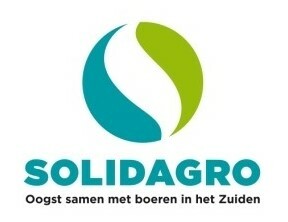 a Belgian-based NGO for development cooperation, on partnership and financing of a development program for the Right to Food in the Philippines within the 2017-2021 Program “Asserting People’s Rights”. Consortium of Solidagro-Kiyo-g3w/m3m/TWHA, co-financed through a subsidy by the Directorate-General for Development (DGD) of The Government of Belgium. European Union or the Delegation of the European Commission to the Philippines funded MISFI’s project: ACTION REPAIR: Rebuilding Pathways towards Integral Peace and Development for the Uprooted People in Mindanao last 2007 to 2009. A 24 months capability-building project which was under the Aid to the Uprooted People Program (AUPP) of EU and has six (6) components: sustainable agriculture and livelihood, disaster mitigation and preparedness, health and nutrition, stress and tension reduction therapies, literacy and numeracy and peace advocacy. The project were implemented in 39 communities in five regions of Mindanao covering 8 provinces, 14 municipalities, and 26 barangays with a total number of 4,648 Moro, Indigenous and Christian families or approximately 28,392 individuals. Municapilty of Overpelt, Limburg, Belgium. Supported two communities in Barangay Matupe in Bukidnon. They provided pre and post harvest facilities under the sustainable agriculture program of MISFI last 2011. Philippine Network of Food Security Programmes, Inc. (PNFSPI) addresses food security for the most deprived sectors of the Filipino people, most especially the poor peasants in the countryside. It aims to facilitate and coordinate resources,exchange experiences, and information in a concerted effort to combat hunger and create conditions that will allow men, women and children of the most disadvantaged sectors to lead a healthy and active life. United Nations Children’s Fund -Philippines (UNICEF), partnered with MISFI through various Peace Fora in the Moro areas and UNICEF also provided MISFI Academy learners with Early Childhood Development and Recreational Kits. International Committee on the Red Cross (ICRC) supported MISFI in the rehabilitation of Water System in Natulinan, Talaingod, Davao del Norte last 2010 and distributed farm tools and seedlings for victim-survivors of armed conflict. Canada Fund for Local Initiatives supported sustainable agriculture program of MISFI last 2006-2007. 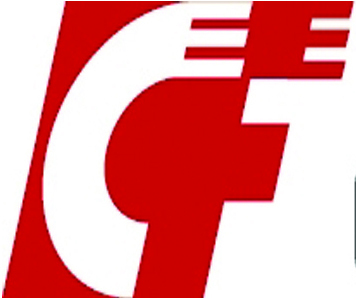 The Canada Fund for Local Initiatives (CFLI) is a competitive facility providing short term direct funding assistance to community groups, non-government organizations, people’s organizations and in exceptional cases, international NGOs, and government institutions for small projects addressing governance, democracy, capacity-building, economic, and other social development issues. Diakonie Katastrophenhilfe (DKH) is part of the Diakonisches Werk of the EKD, the Social Service Agency of the German Protestant Church – one of the biggest welfare institutions in Germany and a member of the ACT Alliance – a coalition of 146 churches and faith-based organisations working together in over 100 countries. DKH supported MISFI during Typhoon Pablo (Bopha) and provided Relief Delivery Assistance in the affected areas of Monkayo and New Bataan in Compostela Valley Province. DKH together with CDRN implemented a project: Enhancing Capabilities in Disaster Risk Reduction for more Resilient People and Communities in 11 regions in the Philippines. DKH is also the major source of CDRC’s Emergency Relief Assistance Fund in providing Emergency Relief goods for victim-survivors of calamities. Mercy Relief (MR) is an independent non-governmental humanitarian charity, established in response to the human tragedies in Asia. It aims to promote a civic life of compassion, care and volunteerism amongst Man. MR, a Singapore-based NGO, has supported MISFI’s Relief delivery Operations (RDOs) in selected areas in Compostela, Compostela Valley during Typhoon Pablo. Mercy Relief through CDRN has standby Hot Meals Project Fund for victim-survivors of disasters, Mercy Relief intend to be the “first on the ground” to respond in times of disasters to provide hot meals. Civic Force is a Japanese non-government organization which supported MISFI’s Emergency Response on Typhoon Pablo in selected areas in Baganga, Davao Oriental. They provided plastic sheets, water containers and food items. 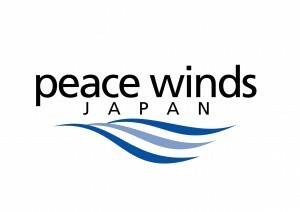 Peace Winds Japan (PWJ) is an NGO (Non-Governmental Organization), dedicated to the support of people in distress, threatened by conflict, poverty, or other turmoil. With its headquarters in Japan, PWJ has been active in various parts of the world. PWJ supported MISFI’s emergency response for the typhoon Pablo in selected areas in Baganga, Davao Oriental. Fr. Fausto “Pops” Tentorio Foundation, Inc.
Nonoy Librado Development Foundation, Inc. 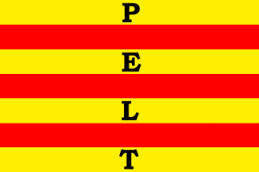 I am a researcher from the Holy Trinity College of General Santos City. I have earlier sent an email through mipc_phils@yahoo.com requesting if I can possibly visit your office in Davao. I have attached in that email references in relation to the research I am conducting. I have also tried to contact your office using the two mobile phones but I am having a hard time getting through. Please advise how else can I possibly contact MISFI to discuss this research further.